The Tama Star Walnut 22'' 4pc Shell Pack, Indigo Japanese Sen Burst offers an unprecedented tone and durability with stunning visual appeal. The Tama Star Walnut Shell Pack produces a naturally EQ'd tone with great dynamic response for a full, resonant and powerful sound that is ideal for both the studio and stage. Ideal for the experienced drummer, the Tama Star Walnut brings professional sound and manufacturing quality to the hands of the modern drummer. Please Note: Cymbals, snare drum and hardware are sold separately. Constructed entirely from premium walnut, the Star Series shell pack produces a rich, warm and full sound perfect for a variety of genres and playing styles. Walnut is a dense wood which delivers a balanced response across the frequency spectrum, offering a dynamic, responsive and professional tone. Tama have redesigned the Star Series shell bearing edges to produce smoother vibration transferal between the drum head and shell via the increased contact points. By creating a rounder bearing edge with a peak position of 3.5mm, vibrations transfer more efficiently to create a more responsive and resonant tone. The new mounting system is designed to maximise the natural resonance of drums, providing minimal stress and strain on both the shells and hoops. This new system utilises three contact points with the drum. Two contact points on the batter hoop support vertically whilst the third contact point supports the horizontal weight of the drum. This innovative mounting technique reduces the stress and strain on both the shell and the hoop, resulting in increased natural resonance. To optimise each shell's resonance and sustain Tama have included rubber isolators at each contact point. These rubber isolators diffuse vibrations between the shell and stands to allow maximum resonance. The Quick-Lock tom brackets are equipped on the Star-Cast mounting system and provide you with the ability to simply position your drum and save the setting without the need for additional memory locks. Simply slide the switch on the bracket, breakdown your setup and have everything saved for a quick and easy setup next time. Quick-Lock brackets also deliver some hidden acoustic benefits as well, reducing the vibration transferred from drums to the stands and further enhancing resonance. From the Star-Cast Mounting System to the single small lugs, every aspect of the Star Walnut shell pack is designed to offer the bare-minimum of shell contact. Instead of metal badges riveted to the shell, Star Walnut utilises a wooden air-hole cap and a logo that is imprinted onto the shell before the final finish is applied. These features also contribute to the Star series' rich, timeless appearance. Hoops not only affect drum tuning but also affect drum sound, which is why the choice of hoops was so important to the designers of Tama's professional drum lines. 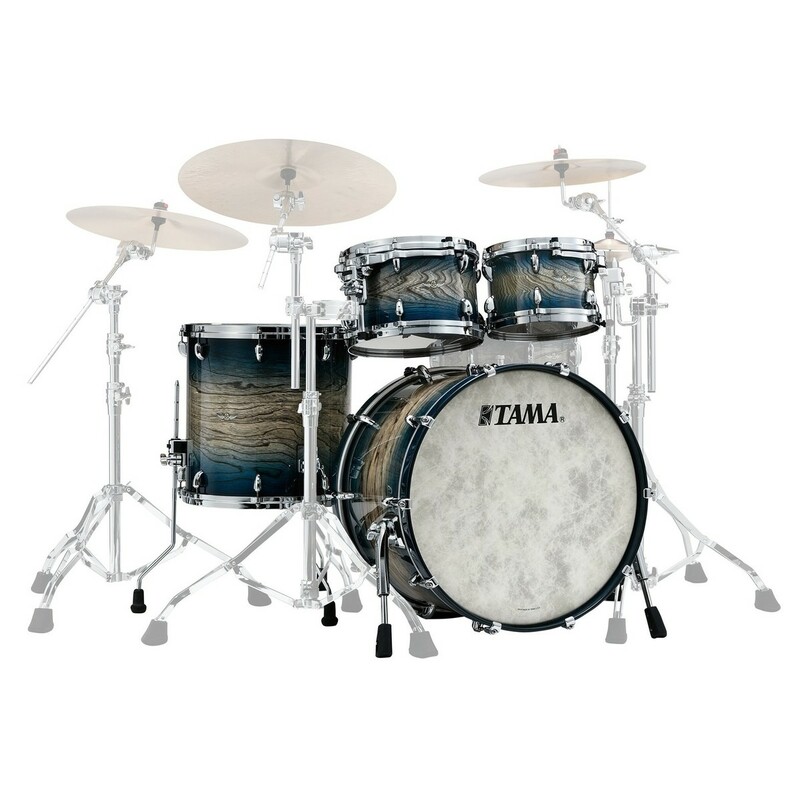 The Tama Star Walnut has zinc die-cast hoops, which are manufactured by injecting molten metal into moulds. Die-cast hoops have more density and are more consistent in shape than triple-flanged hoops, which are manufactured by bending metal plates. Die-cast hoops make tuning more consistent and easier to achieve because the tension bolts always contact the hoop properly. Drums fitted with die-cast hoops also offer crisper attack, clear and resonant highs, and much more powerful rim shots.